Communication is key to the success of any business. Throughout history we have seen that all effective leaders have one thing in common: they are all highly skilled communicators. In today’s world, where communication via social media can take place in just a matter of seconds, how do business owners ensure that they are still getting their message across clearly and effectively? 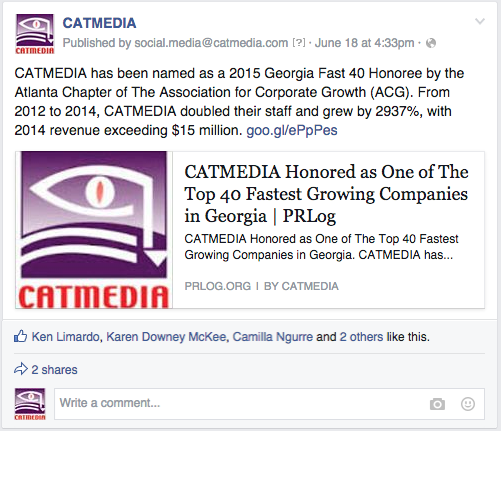 Utilizing social media has become an essential business tool in getting messages out to the masses. According to the 2014 Social Media Marketing Industry Report, 92 percent of marketers agree that social media is important to business and 97 percent of marketers say that they use social media to market to consumers. However, according to this same report, 89 percent of marketers are unsure of the best ways to engage with their audience via social media. But no single social media sites are alike. Although most businesses agree that Facebook is the most effective social media site in communicating with their customers, there are still many other platforms available to engage with customers. So which social media platforms Should your business be using and how can you manage successful online communication? What Social Media Sites to Use and When? Facebook is arguably the most effective social media site for communicating with customers, as it is the most frequently used social media site overall. With 70 percent of its users engaging in the site daily, Facebook is the best way to communicate a message to a mass audience while still allowing direct and immediate conversations with customers. Facebook also allows users to write longer posts, which allows businesses to communicate their message in more detail. Twitter is the second most-used social media site according to the 2014 Social Media Marketing Industry Report, with 83 percent of marketers using the site to communicate with their customers. However, Twitter separates itself from its competitors with one unique feature: a tweet can contain no more than 140 characters. Businesses often try to keep their tweets even shorter to allow space for any links or hashtags that they wish to include. A hashtag is also a great feature that pools together all common information into one place. Twitter is great for businesses trying to communicate in a straightforward and concise manner. For more information about how and when to use the site, here are 31 tips to using Twitter. 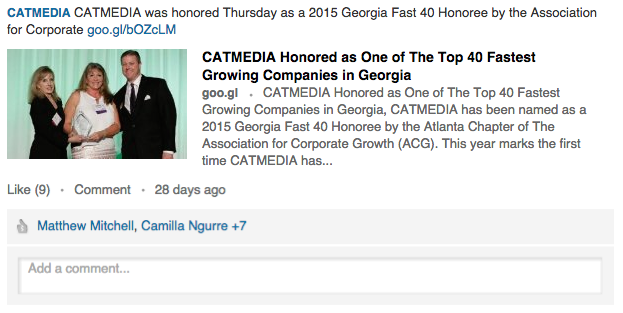 LinkedIn ranks third among the best social media sites for business communication. With 71 percent of marketers agreeing that the site is useful to them, the site is used mainly in Business-to-Business (B2B) marketing. Not only is the website beneficial to job seekers looking to make professional connections but it also allows businesses to find their customers and market directly to them. Instead of sending a message to the masses, on LinkedIn a business can find their precise audience and only advertise to them. YouTube is the fourth most common social media platform used to communicate with consumers. However, YouTube is slightly less beneficial than other social media platforms because the site consists of only videos. Marketing can be difficult on YouTube because consumers get distracted easily and if a video is dull it won’t be effective. [ytp_video source=”ZsVO8ZZPaSU”] In order to communicate effectively on YouTube, businesses must broaden their perception of advertisement. According to SumAll CEO Dane Atkinson, one tip when using YouTube as an advert is to invite customers to post their own videos using your product. This proves to be much more effective than posting a video yourself. Tracking how well your business communicates via social media is vital to successfully reaching customers because, if done successfully, social media marketing can do a lot for your business. A social media presence gives your company a brand identity and personality. People using social media want a personal experience and will feel closer to a business if they are able to develop a closer connection. Businesses that use social media to communicate seem much more transparent and personable to audiences. If done correctly, social media should lead to increased sales. With the growing importance of an online presence, being able to communicate with consumers through social media is a skill that all businesses should possess. 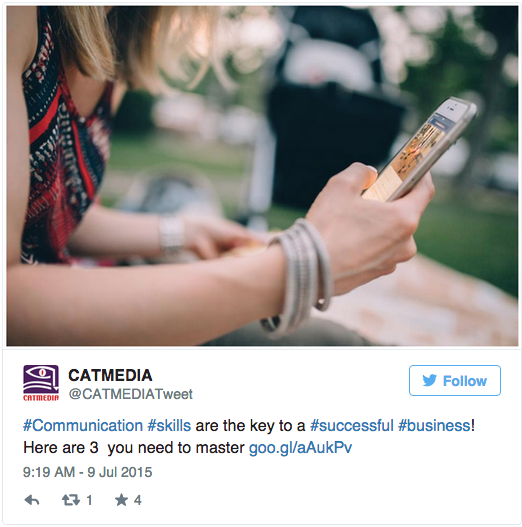 Hopefully these tips for effectively communicating through social media will help your business conquer the vast realm of online communication! Once you’ve decided on what channels to use, here are 10 social media mistakes you should avoid.